It’s pretty clear at this stage that I love cars. I love everything about cars including the oily bits. I love that a car can seem to be effortlessly moving along yet there is this wonderful, perfect and unseen ballet under the bonnet. I say ballet, but no human could possibly match the precision, accuracy and beauty of an internal combustion engine. Four hundred separate precision parts each doing its own job contributing to the masterpiece that is a working engine. I have a small working model at home and I enjoy just watching it work. Maybe I shouldn’t have admitted this publicly but hey, it’s the truth! These beautiful machines have been with us since the late 19th century and they come in many shapes and guises. There are two stroke, four stroke and even six stroke cycles and the cylinders can be arranged in many different ways. Straight, slant, v, opposed and radial are all different alignments that have been used over the years for many different applications. Each alignment has its own characteristics, idiosyncrasies and inherent beauty. From a angry, raspy two stroke to the more civilised four stroke and from a thrummy little three cylinder to the deep throated grumble of a large V8 there is always something to attract and keep your attention. For me though the ultimate expression of an internal combustion engine is the endangered species that is the straight six. These gorgeous engines have become as rare as hen’s teeth and with the notable exception of BMW no other major manufacturer currently sells one. Up until the eighties you could find straight sixes under the bonnet of all major marques’ larger cars. 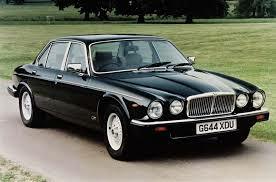 Jaguar were rightly famous for them right up to the mid nineties. Mercedes, Toyota, Nissan, Ford and many British sports cars (admittedly not always the best advert ever) all sported inline sixes. 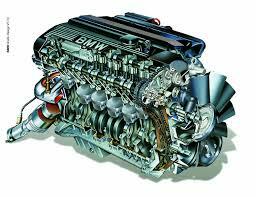 Providing it is well designed and maintained a straight six is the most naturally balanced engine there is. They do away with the need for fancy engineering tricks like the balancing shafts you find in a v engine to provide that smooth effortless creamy power we associate with a six cylinder engine. It only has one cylinder head making it less complex and typically more reliable than a twin bank engine and it has the perfect soundtrack- a lovely multi cylinder hum at idle becoming an unmistakeable glassy swoosh as you gather revs right up to the menacing turbine like scream near the redline. It is true that this engine layout has a long awkward shape and sometimes a lower rev limit. It doesn’t fit neatly under most modern bonnets and really only works with rear wheel drive cars. A v6 engine will fit under the bonnet of even a small hatchback and can be used to power the front, back or even all four wheels. So despite the extra cost and complexity a v engine is more practical. Who the hell cares about practicality? I love the fact that in a straight six the car is designed around the engine. I love the fact that it has to be rear wheel drive. I love how smooth it is and I especially love the noise it makes. I know that “what’s seldom is wonderful” and these engines might feel a little less special if fitted to every second car. However it is important that they remain available to those of us who want them. Up until very recently the future was looking very bleak. It seemed that inline sixes were flatlining as even BMW (in all but their very top end cars) moved towards more and more four cylinder engines and front wheel drive. There is hope on the horizon though as it has been rumoured that both Mercedes and Jaguar are engineering brand new (possibly turbocharged!) inline sixes. It is possible that these engines will be the replacement for larger V8s and V8s themselves will become a less common sight (which would also be a shame). This didn’t stop a wave of relief washing over me on hearing this unexpected news. They are no longer on life support. The beauty and simplicity of these engines will continue to live on and what’s not to love about that? Thanks bjax, I agree that it’s unlikely but you might have said the same thing about Mercedes and Jag a year or two ago. Always wanted to drive that twin turbo supra. Still on the bucket list though. Agree about tone and harmonics. The straight six in the second gen e46 320s was possibly the sweetest noise in automotive heaven. Someone once explained it to me as 6 goes evenly into 360 but I don’t know how true that is! Thanks Clex, that was a gorgeous engine. I think the reason that it’s so smooth is that each of the three paired cylinders is 120 degrees away from the other pair so each is pushing exactly against the other at all times.